Although this may sound delicious to some of you, this was a bit of a gamble in my house. I came across this recipe and thought wow, that sounds amazing, but then I hesitated. My husband isn’t really an onion fan and he prefers spinach to kale. And then I decided, experimenting with different kinds of tacos is what Taco Tuesday is all about, so let’s do this! I came across this taco recipe on Pinterest –here is the original recipe— and decided to make a couple small changes. 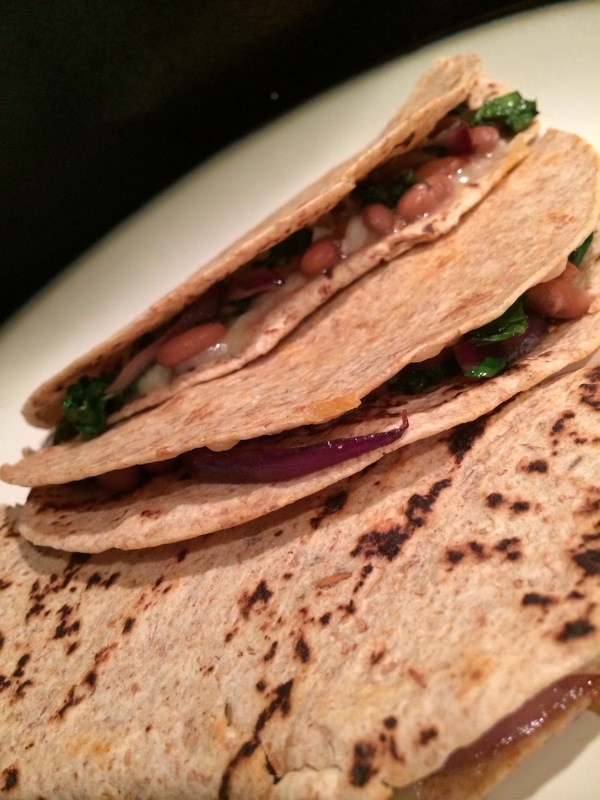 I always have these multigrain tortillas on hand, so I used these instead of corn. Also already in my fridge, monterey jack cheese, so I used that instead of cheddar. Lastly, I opted to melt a generous helping of cheese on the tortilla prior to adding the beans and veggies. One thing I did not photograph and should have is the beans. You see, I like to buy dry pinto beans and cook them slowly on the stove top with a lot of garlic, half a white onion, salt, pepper and cumin. So, for this recipe, I did not use canned beans, but you could easily do that if you don’t have the time, or the desire to spend a couple hours making beans from scratch. 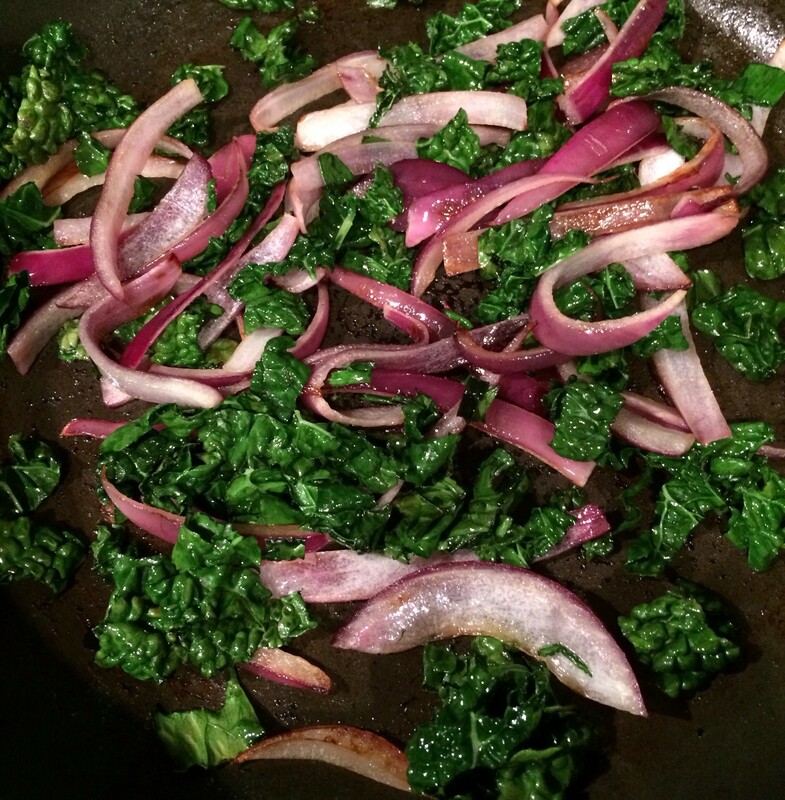 Although my husband said there were too many onions, he did say that the flavors were really good, so perhaps the next time I do this, I’ll add some more kale to mask the onions. 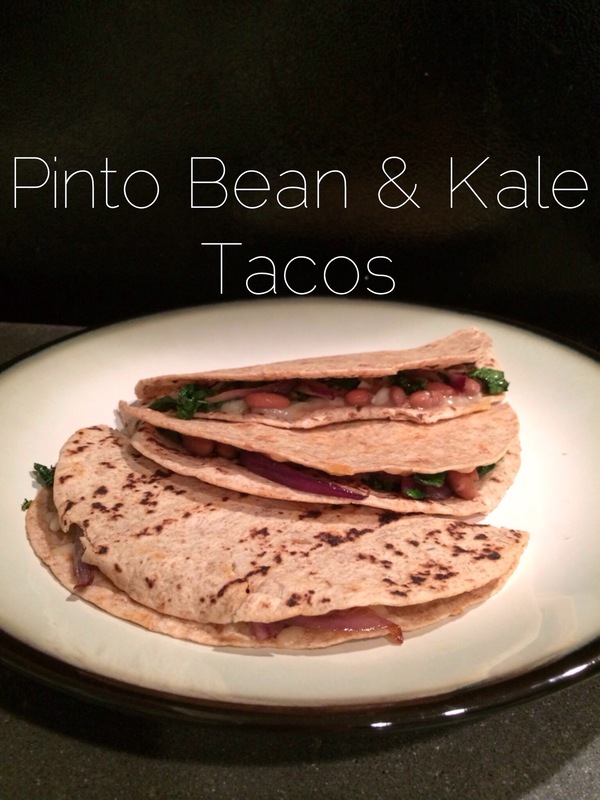 All in all, I’m calling Pinto Bean & Kale Tacos a win.